Providing regular meter readings will ensure that your bill is as accurate as possible, reducing the need for estimation and ensuring your payments reflect your usage. Every type of meter is read differently. You will need to know which kind you have to correctly read it. Follow our step by step walkthrough to reading your meters. Whilst we do our best to provide an estimate that is representative of your usage, sometimes this may result in you paying for energy that you haven’t used. On the flipside, underpayments will eventually cause unexpected catch-up bills, leaving your business with an unpredictable payment to settle. Debt on your account means switching energy supplier isn’t possible. You won’t be able to switch until the debt is settled. Providing regular meter readings enable your business to track its energy usage and performance with better precision. Accurate monthly tracking of your energy bills provides the opportunity to compare consumption and costs from previous years figures, viewing trends within your energy consumption. Electricity meters come in three different forms, each having a different type of display; there are digital, electronic and dial meters. Your meter may also be a single or multiple-rate meter. Gas only has two types of meter, dial and digital, whereas water has one standard display. All these meters are read in a slightly different way, so knowing your meter type is vital to gaining accurate meter readings. Digital meters have a digital display, showing five numbers in either black or white with one or more numbers in red or in a red surround. 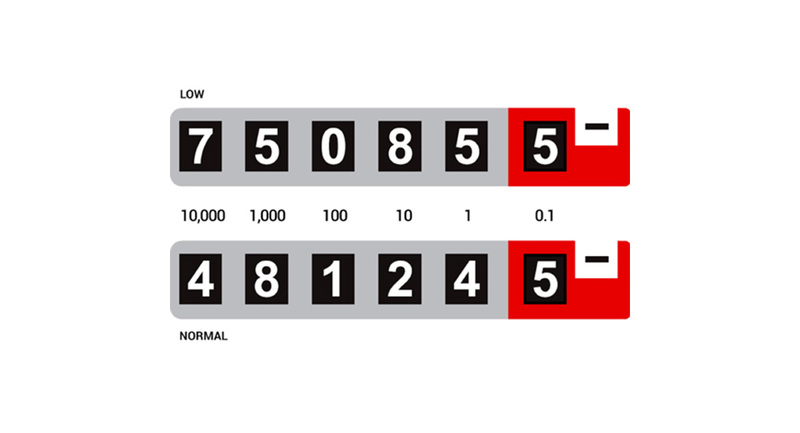 To read the meter, write down the five numbers in black or white from left to right, ignoring any numbers that are in red or in a red surround. You may have a two-rate digital meter if you have lower price and off-peak electricity, in which case your meter will display two rows of numbers. The top row, marked ‘Low’, represents night and displays how many units of off-peak electricity you have used. The bottom row, marked ‘Normal’, represents day and displays how many units of peak electricity you have used. To read the meter, you must read both the top and the bottom rows, writing down the numbers displayed from left to right and ignoring any numbers that are in red or in a red surround. If your two-rate meter only has one digital display there are different methods to read it correctly. Your readings will either flash up the different rate readings in an alternating cycle or have a display button. Manually pressing the display button changes the rate that the display will cycle through. Normally the meter will display Rate 1 and Rate 2, write down the numbers displayed from left to right and note each reading as either R1 or R2 respectively. 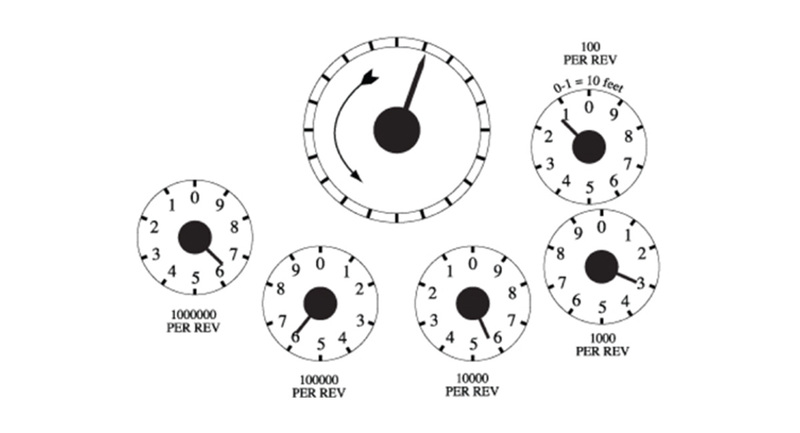 Dial meters have five or more dials, each of which revolves from 0-1 and on through to 9 before continuing to 0 again. The dials are placed in an inverted sequence, meaning each dial turns in the opposite direction to the one before it. Before you read your dial meter, check the direction of your dials as they may not be exactly like those displayed below. Read the first five dials from left to right, ignoring the dial marked 1/10 (if present). Write down the number that the pointer has just passed. If the pointer is exactly over a number, write that number down. If the pointer falls between 9 and 0, write it down and reduce the reading that you’ve already taken for the dial on its left by one. For example, if you originally recorded 5, reduce it to 4. This dial meter reading is 44928. Every dial revolves from 0-1 and on through to 9 before continuing to 0 again. The dials are placed in an inverted sequence, meaning each dial turns in the opposite direction to the one before it. Before you read your dial meter, check the direction of your dials as they may not be exactly like those displayed below. Read the dials from left to right. 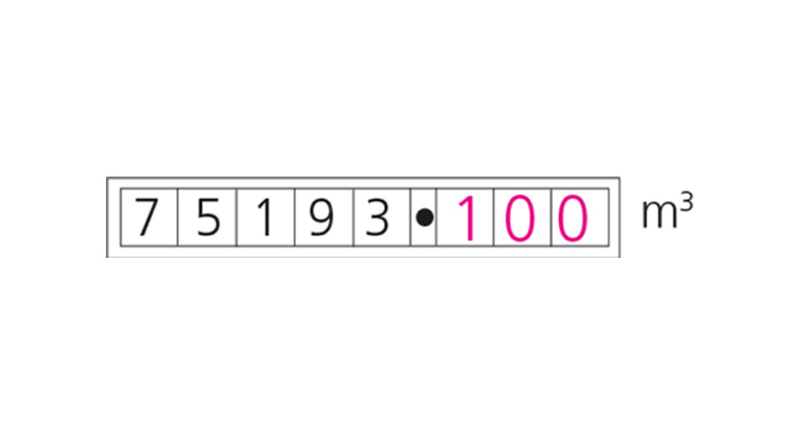 If the pointer is between two numbers, always take the lower number. If the pointer falls between 9 and 0, write down 9. Ignore red dials, ones marked ‘100 per rev’ and the largest dial. 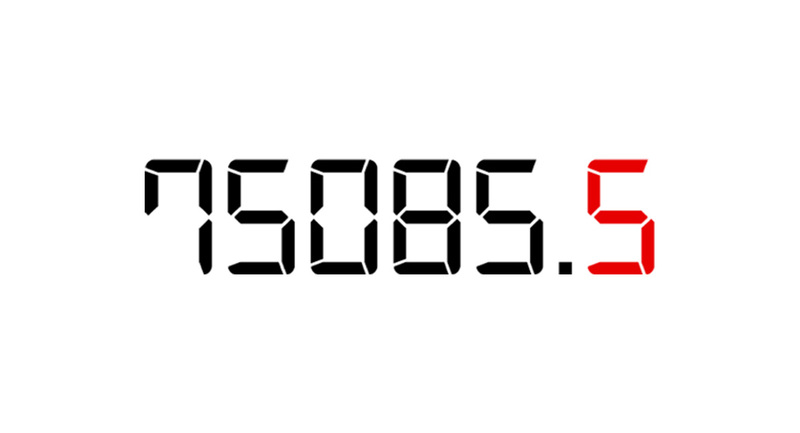 This dial meter reading is 6653. Read the numbers from left to right, ignoring any numbers shown in red. This dial meter reading is 75193. Water billing is based on the historic water usage at a property. The water meter will be read within 6 months and a minimum of twice per year, with bills adjusted accordingly with each reading. To ensure more accurate billing you can submit your own water meter reads. Small business water meters are usually located internally. The meter will be near to where the water pipe enters the premises, similar to the location of a domestic water meter. However, if this is not the case then the water meter can be located outside within a meter chamber or purpose-built underground meter box. To access these chambers, remove the cover, this is usually circular. 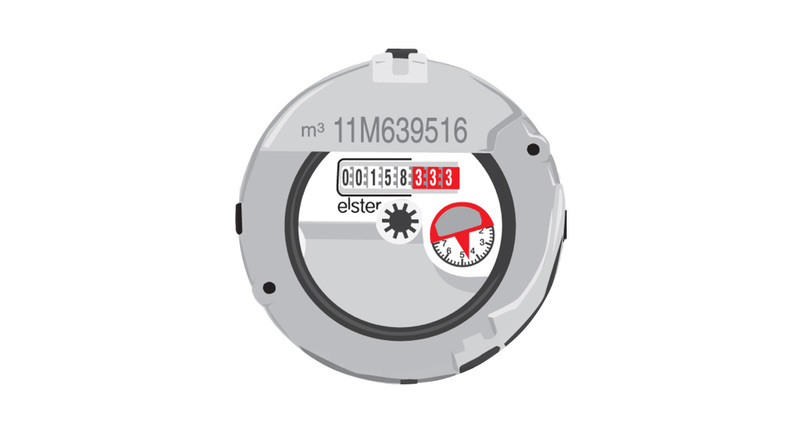 In this case, the most common location for the water meter is underground in specific meter chambers, as these are often installed externally. However, if this isn’t the case then larger meters are sometimes located within a purpose-built plant room or meter house. The black and white numbers show how many cubic meters of water you’ve used, we’ll calculate your bill using these numbers. Read the meter from left to right, ignoring the numbers in red or in a red surround. We recommend reading the red digits at frequent intervals to see if they’re going up when you’re not using any water, as this could indicate a leak. Smart meters are the clever way to measure your business energy use, take control of your energy costs and all without the need to read your meter.